Having a loving God who is Eternal, a Rock of stability in a "topsy turvy" world, is really something to shout about. So much of what we get excited about in our world today is just a fleeting victory, a vicarious sporting thrill, or personality worship. But in God, we have something to truly sing about with joy. He has known us since our conception, he has loved us from before the foundation of the world, he has sent his Son to save us, and he will bring us home to himself! No quiet song will do today. 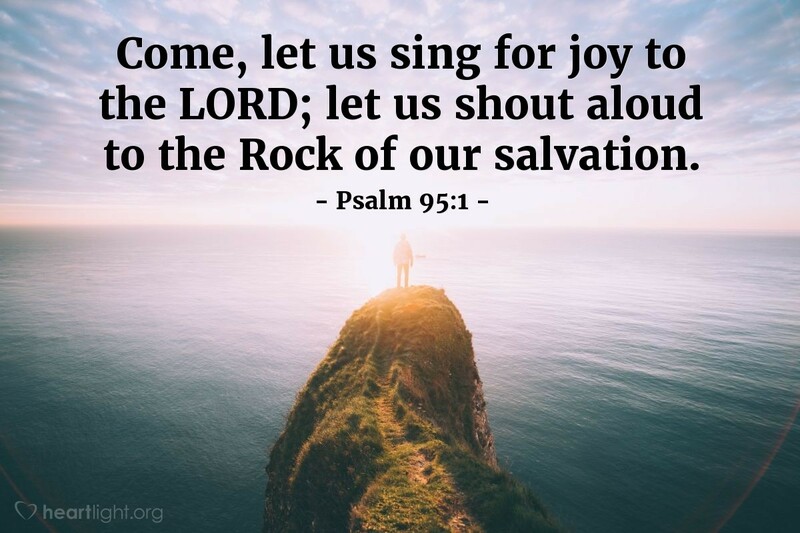 Let's sing with joy and shout out loud to the LORD! Hallelujah, LORD God, you have brought your salvation down to me! You have blessed me with your grace, comforted me with your love, and renewed me with your Spirit. My life overflows with the abundance of your many rich blessings. I praise you with my heart. I praise you with my thoughts. I praise you with my words. I praise you with my hands. I praise you with all that I am. In Jesus' name. Amen.